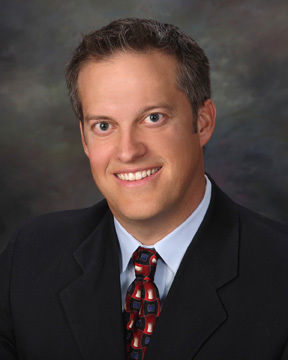 Dr. Mosher has been practicing Allergy/Immunology in Thousand Oaks and Simi Valley since 2000. He grew up in San Diego and attended college at the University of California at Santa Barbara, graduating with honors. He received his medical degree from Albany Medical College in 1995. He then completed internal medicine residency at Cedars-Sinai Medical Center in Los Angeles, followed by Allergy/Immunology fellowship training at Harbor-UCLA in 2000 where he received extensive training in treating both children and adults with various allergic and immunological disorders. Dr. Mosher is board certified in Allergy/Immunology. He is a member of local and national allergy societies including the American College of Allergy, Asthma and Immunology, the American Academy of Allergy, Asthma and Immunology, Los Angeles Allergy Society, Gold Coast Allergy Society. He has given numerous lectures on various topics such as allergic rhinitis, asthma, food allergies, drug allergies, and immunodeficiencies. He enjoys caring for patients of all ages. He resides in Thousand Oaks with his wife and two children. Dr. Mosher thoroughly enjoys the exciting field of allergy. He focuses on identifying, then treating the underlying medical problem. He strives to treat patients with the least amount of medications possible.